Gov. 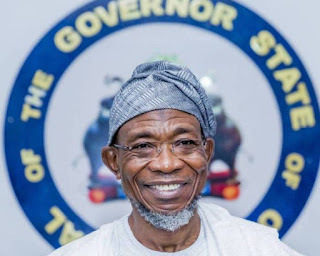 Rauf Aregbesola of Osun says his administration will spend N48.73 billion on the Ilesa water and sanitation project. The governor said this in Ilesa on Monday at the launch of the project tagged ‘‘the biggest singular project in Osun since its creation’’. He said that a major part of the funds for the project, which was 65 million U.S. dollars (about N23 billion), had been obtained from the Islamic Development Bank (IDB) in Saudi Arabia. He added that the loan had a repayment period of 25 years. Aregbesola said the contractor handling the project, which was appointed by IDB, had given an assurance that the project would be completed within 24 months. He expressed the hope that by December 2019, the water project, including the waterworks, would be fully operational. He said three reservoirs, which had the capacity of producing 60 million litres of water per day, would be constructed in the course of the project. Besides, Aregbesola said that the state government in 2015 paid N8.39 billion to the Federal Government for the completion of the Kajola Water Dam in Ilesa. He added that the dam would be the main source of water supply to the reservoirs. He, however, said the state government was still looking for additional N15.31 billion to construct the water supply network of the project. He said that the government was looking at how the World Bank and IDB could assist with the needed funds. Aregbesola said that in the history of the state and, indeed, the defunct Western Region, the water project was the biggest project coming to one town. He said that the people of Ilesa would enjoy uninterrupted water supply for more than 50 years, after the completion of the project. The consultant handling the water project, Mrs Tawakalitu Williams, said that the water project was conceived following the completion of the Kajola Water Dam in Ilesa by the Federal Government in 2015. She said that the physical construction works of the water project would be completed in 2019. Williams said that three water reservoirs would be constructed to supply water to the residents of Ilesa. In his remarks, the Owa Obokun of Ijeshaland, Oba Adekunle Aromolaran, thanked the governor for ensuring that Ilesa had its own water scheme.